Law is an explicit system of rules to govern the behaviour of people. Legal practitioners must learn to apply legal knowledge to the facts at hand. The United States Multistate Bar Exam (MBE) is a professional test of legal knowledge, where passing indicates that the examinee understands how to apply the law. 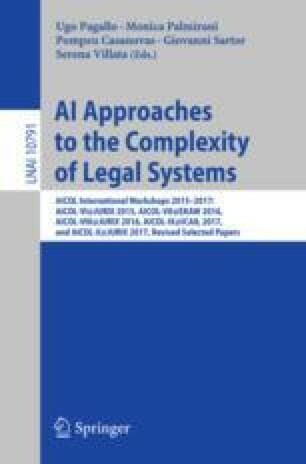 This paper describes an initial attempt to model and implement the automatic application of legal knowledge using a rule-based approach. An NLP tool extracts information (e.g. named entities and syntactic triples) to instantiate an ontology relative to concepts and relations; ontological elements are associated with legal rules written in SWRL to draw inferences to an exam question. The preliminary results on a small sample are promising. However, the main development is the methodology and identification of key issues for future analysis.